What’s All The Buzz About Branding? 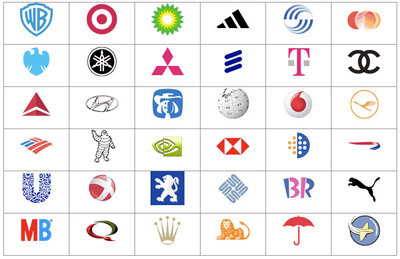 Have a look at these well known logos. How many are instantly recognizable to you? They don’t even need a name to be easily recognized. And that is not an accident or a happy coincidence. It takes a lot of time and effort to make your company that well known. But how important is that really if you are not an international Mega-Corp? The simple answer is that a positive brand message can be make or break for a small business. Your customers want to be confident in their choice of a business partner. They want to be able to trust and rely upon you. And when you spend all that effort to create a superior customer experience, there are ways in which you can project that image to other potential customers. By creating and using a consistent brand, which can consist of anything from a strong logo to company colours to a tag line, you create instant recognition which separates you from your competition. People are visual creatures so we respond to images and especially ones which make a strong and lasting impact on us. That is why telephone books and other print-based services have always been able to sell full page colour ads. 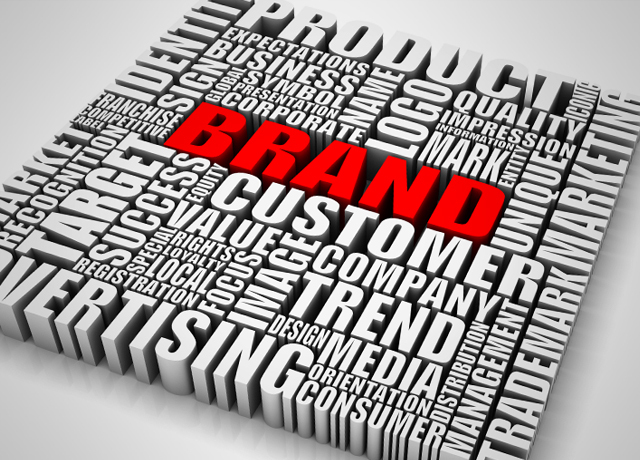 It’s top of mind awareness that is being constantly reinforced by your branding. Your brand doesn’t even have to stay the same. As long as it embodies the original principles, it can continue to evolve and people will accept it. If you look at the image below, you can see how the well known Shell Oil logo kept changing over the years. It changed but it stayed highly recognizable and, today, it doesn’t even need a name. So what is a great way to get started in promoting your brand? It’s promotional products, of course! Those are low-cost branded items which stay with your customers or prospects all the time. From simple office products like pens and note cubes to more sophisticated tablet cases and power products, whatever you can logo is going to have a positive impact on your business. It doesn’t matter what you do in your business, there are literally thousands of cost effective ways to keep your brand at your customer’s fingertips. 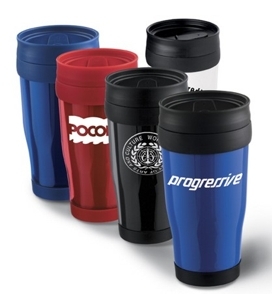 According to the PPPC 2013 Industry Survey, 17% of promotional products are used once a day! And another 29% are used at least once a week. That’s great exposure for your business. You might want to know that 36% of promotional product users pass the product along to someone else. Mostly that is because promotional products are useful! The PPPC survey of consumer behavior has come up with all kinds of interesting reasons to use promotional products. Did you know that 88% of consumers who received promotional products recalled the advertiser’s name. Try getting that from other advertising methods! Drop us a line today to get your brand into shape! This entry was posted in Industry News on July 15, 2014 by mktgwarehouse. In September of 2012, the National Allied Golf Associations published their findings report about the state of golf in Canada. Since golf apparel and accessories have traditionally been a large category for premium and incentives providers, the core results are of great interest. 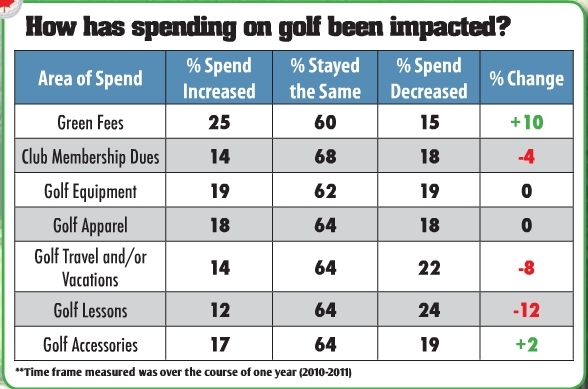 Overall, there is zero growth among those playing golf. Among 5.7 million golfers in Canada, there are about 18% or 1.026 million golfers entering and leaving the game every year. 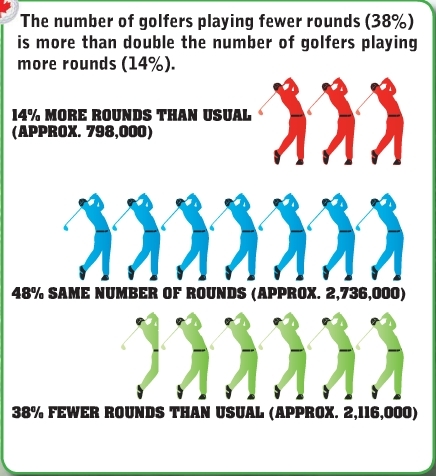 Also, the study indicates that the number of golfers playing fewer rounds (38%) is more than double the number of golfers playing more rounds. 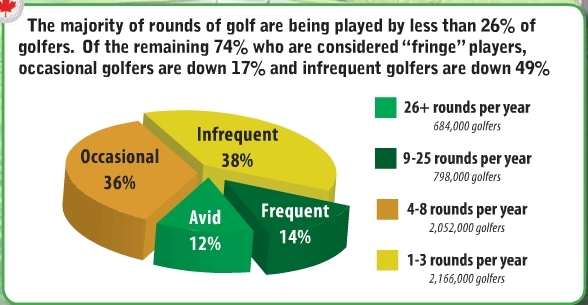 The effective golfer population has a very focused and narrow appeal. It is comprosed of high income earners (42%), post secondary graduates (62%) and is mostly male (70%). 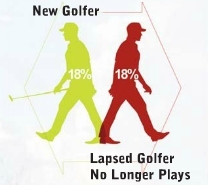 Whereas 17%, or 969,000, current golfers took up the game as a child, we now see only 7% or 399,000 of today’s golfers with children playing the game. There are, however, slightly more teenagers in golf today at 513,000 players. This study illustrates that golf may become a less significant component of the branded merchandise business due Canada’s changing demographic and cost associated with playing the game. As a result, golf offerings are becoming higher quality, brand-name oriented and incorporating more technology to aid the average golfer. Today’s golfer is much more sophisticated and will certainly recognize and expect those items which have a higher perceived value. This entry was posted in Industry News on April 1, 2013 by mktgwarehouse. Fashion Week has come & gone in New York, and during the event, the world’s leading clothing designers are showed off creations that will be in stores soon. While the runway presentations might seem removed from the “real world,” trends that are established during Fashion Week tend to influence designers in other realms, from the graphic furniture to the automotive to the tech industries. The report surveyed the most prominent colors used in the Spring 2013 collections (the fashion world shows off clothes one season in advance on the runways). Pantone’s analysts also identified what narrative the popular colors suggest. In a way, the color spectrum presented in the report also reflects what designers believe consumers are looking for, in terms of products that can address their current mood and desires. The report states that the most popular colors for Spring 2013 offer “a palette that that mixes dynamic brights with novel neutrals to create a harmonious balance. This allows for unique combinations that offer practicality and versatility, but at the same time, demand attention and earn an appreciative glance.” In a time of ongoing economic uncertainty, the notion that consumers are seeking a sense of comforting harmony blended with functionality seems about right. For Spring 2013, Pantone has identified green as a dominant shade especially in the women’s collections, from a bright yellow-green hue (that Pantone classifies as Tender Shoots, to a subdued pale green classified as Grayed Jade, to Emerald, a bright jewel tone. Interestingly, the report and the designer commentaries do not associate “green” with sustainability as the 2010s are underway, staying away from perhaps the most obvious symbolic use of the color in the 2000s. Instead, they collectively seem to imply that green conveys a sense of freshness, vitality, and simply is pretty. 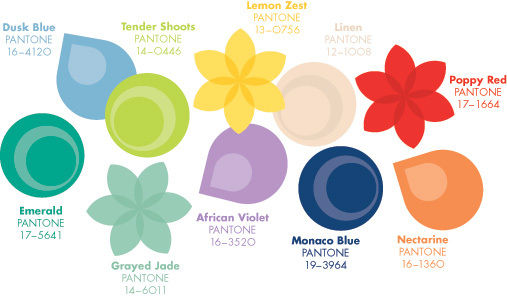 Other colors that were used often in Fashion Week presentations–and are likely to surface in other products later in 2013–include a lovely, soft yet vibrant purple called African Violet; a super bright, cheery Poppy Red; the coral-tinged, fruity Nectarine; a nearly neutral and toned down Dusk Blue, an alternative to more traditional neutrals such as tan; and a just-slightly-brighter-than-navy Monaco Blue; and the greenish yellow, Lemon Zest. This entry was posted in Hot Products, Industry News on March 22, 2013 by mktgwarehouse. How safe are BPA-free products? Are these BPA-free travel mugs really safe for use? As a result of widespread consumer backlash, many companies have rolled out “BPA-free” plastic products, ranging from bottles and sippy cups to reusable water bottles, meant to appeal to those health-conscious consumers looking to avoid toxins. Many are simply swapping another bisphenol, bisphenol-S (BPS), which is now showing up in human urine concentrations at levels similar to those of BPA. Research suggests BPS has similar hormone-mimicking characteristics as BPA, but it may be significantly less biodegradable, and more heat-stable and photo-resistant, which means it may cause even more health and environmental damage over time. If you’re interested in avoiding any number of chemical toxins leaching into your food and beverages, choose glass over plastic, especially when it comes to products that will come into contact with food or beverages, or those intended for pregnant women, infants and children. This entry was posted in Industry News on October 16, 2012 by mktgwarehouse. Yes, You Can Buy Canadian! Do you try to support Canadian suppliers? Much of what we use to promote our brand originates offshore but not everything. There is a wide variety of well-made and interesting products which are made right here, eh! Make your brand stand out in style! Perhaps you are looking for interesting desktop items which set themselves apart from the typical “office supply superstore” stuff. Schleeh Design in Montreal has many great ideas for you. All of their products are highly stylized and really make a statement. 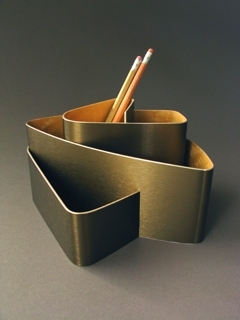 Whether its notepads, desk organizers or something else, Schleeh has you covered. Schleeh also has the most amazing furniture as well as totally unique vases and vessels if you are looking for more substantial pieces. Looking for something a little more traditional? Canadian manufacturers have a wide variety of high quality products for you to consider. 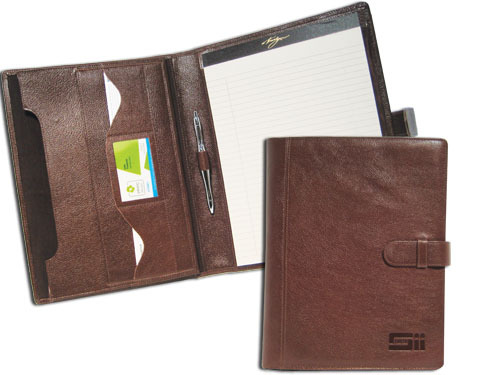 For instance, DGroup Trevelyan is a well-established supplier of leather and vinyl goods such as portfolios, binders and even unique items like coasters, coin set holders and passport wallets. High quality leather goods made right here in Canada! Before you consider an offshore product, why not see if you can get something that’s made right here in Canada, eh! This entry was posted in Hot Products, Industry News on October 15, 2012 by mktgwarehouse. Hoodies are one of the most versatile wardrobe items you can own! Sure, monks and druids wore hooded robes centuries ago, but where did the modern hoodie originate? For that, we can thank Champion Products of Rochester, NY who came up with the modern hoodie in the 1930’s. Champion added hoods to sweatshirts to give labourers and athletes an extra layer of protection from the elements. 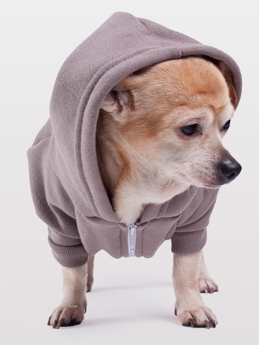 The first hoodies were used in cold storage warehouses and by outdoor workers like tree surgeons. Soon after that, football players discovered that hoodies were great at keeping you warm and dry on the sidelines. It wasn’t until the 1970’s that Rocky Balboa started to make hoodies ideal for a street-wise look. Graffiti artists found that the hoodie gave them some anonymity. Rappers liked the rough and ready look. And musicians, surfers and skateboarders adopted the hoodie as an anti-establishment uniform. Who doesn’t love a hoodie? Today, the hoodie is the preferred casual garment of millions of people. Thanks to Wearables Magazine for the background! This entry was posted in Industry News, Trivial Tidbits on October 2, 2012 by mktgwarehouse. You’re kidding. It’s powered by only water? Are you looking for something really unique for the environmentally aware organization? I bet they have never seen anything like this before. 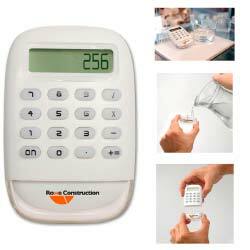 It is a handheld calculator that is powered exclusively by water. Yup. That’s right. No batteries. No wires. Not even sunshine is required to crunch your numbers. This little marvel comes with a nice gift box and provides you with a large area for your message. How does it work? Science! Available in quantities as low as 100 pieces, this is a very unique and cost-effective gift that shows you still consider the environment a priority. This entry was posted in Hot Products on September 26, 2012 by mktgwarehouse.